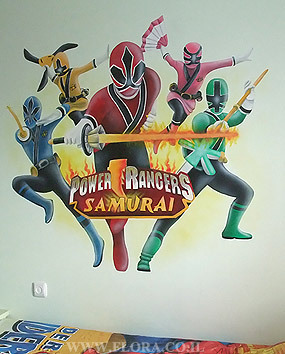 Power Rangers Samurai wall mural. Kids room Murals. Full wall view. Ashdod. Muralist: Flora.